If you’re planning to invest your money in a worthwhile venture but don’t quite know how to start, it might be a good idea to hire a financial advisor. This gives you an edge over your finances and allows you to spend your money wisely. Financial advisory services also helps you earn an extra dime rather than letting your savings lie idly in a bank. AFH Independent Financial Services offer exquisite monetary advisory services that can benefit you immensely. Your financial advisor needs to be competent enough to handle this crucial job. Advisers ought to take a myriad of courses and qualifications before they can offer financial advice professionally. Although standards in this industry keep on changing, don’t hire a financial advisor with zero academic papers. Request to see an Advanced Financial Planning Certificate (currently referred to as Diploma in Financial Planning) or similar certification. After all, the proof of the pudding is in the eating. Picking a good financial advisor is a crucial investment decision that requires a lot of contemplation. This isn’t one of those scenarios where you toss a coin or draw straws to determine who wins – you need to interact with a couple potential candidates before making this life-changing decision. Most advisors will offer a free introductory session to discuss their process, determine your financial standing and to establish how much their services will cost. Utilize these sessions and ask as many relevant questions as you can. Get to know the individual as well. If he/she starts talking about the hottest investments in town within the initial minutes of your conversation, run and don’t look back. Ask your preferred financial advisors whether you can speak to several of their current clients. This gives you an idea of how exquisite the advisor’s services are. If the professional advisor gives you the green light and hands over the contacts of some of his/her clients, you can get some helpful insights about the IFA (Independent Financial Advisor). If he denies your clients, he instantly raises numerous red flags. Fee-based advisors usually receive a variety of fees and commissions that will eventually trickle down to you, so it’s wise to get clarification about what kind of deal you’re getting into. Fee-only advisors, on the other hand, don’t accept commissions of any kind. Such advisors charge a small percentage of your entire assets so they can consistently manage your finances. Others will charge a flat hourly fee to offer you periodic financial advice. This fee could range from $100 to $400. Some financial advisors are totally independent while others work in cahoots with building societies and banks. Independent FAs have the freedom to sell you a variety of properties and products in the market. The latter, however, are always inclined to sell you the properties they represent regardless of whether these properties are inferior to others on offer or not. Take this into consideration before making your decision. Many people have wondered whether gold is a great investment or not. 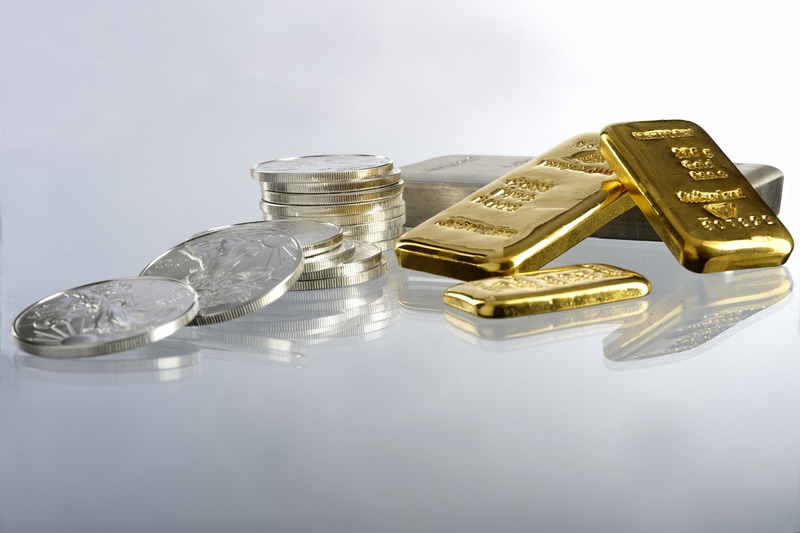 This dilemma can be solved by looking at several factors that make gold worth investing into. Gold has been used as a monetary value from the ancient times, and that has not changed to date. One of the safest ways to safely keep your investments is gold since time has proven that gold is not affected by market fluctuations compared to liquid currency and other types of monetary values such as Bitcoin. Today, the most traded currency is the United States Dollar, and many people tend to put their investment in terms of dollars. Other common currencies in the market include Japanese Yen, British Pound, Euro, Canadian Dollar and many other currencies in the stock market. A single effect happening today in the United States can make the dollar lose its value suddenly, and if you had saved your investment in terms of dollars, suddenly your investment may decrease in value significantly. This happens to all other currencies that are available in the stock market. When a calamity strikes a country, its currency loses value and weakens in the stock market. Natural calamities such as earthquakes, tsunamis, and hurricanes may affect currencies significantly. If a country is involved in war or if there is a possibility of one, and if the political stability of a country is affected, their currency definitely weakens in the stock market. If you had invested millions of money in a certain currency, losing a big chunk of that money is very easy in case the currency weakens because of the above-mentioned factors. Recovering the lost money may take a long time as the currency tries to strengthen itself in the stock market. In some worst-case scenarios, the currency might never recover. Today, there are rumors of war that can adversely affect the world stock market which means all currencies will be affected. The stand out between North Korea and United States creates uncertainty in the market which financial experts believe will spell doom in the stock market if a full war breaks out. When North Korea carried out a Ballistic missile test over Japan recently, their Yen weakened in the market. Now, let’s not mention what would happen if that turned out to be something else. Because of this uncertainty, it is wise to store and trade your wealth in gold. Gold is the single monetary value in the stock market that prevails during calamities, wars, and political instability. Due to the fact that no single country uses gold as its official currency, it outperforms other currencies when it comes to the safety of your investments. When there is uncertainty in the market, wise investors tend to put their investments in gold as its fluctuation rate is always moderate in the stock market. Nowadays, one can even buy gold in Brisbane hassle-free as well as in other places around the globe. When a currency weakens in the market, nobody wants to trade in that currency which would then leave an investor with worthless millions. Gold has never lost value in the market. Most of the countries in the world, big banks and wealthy corporation store their excess money in terms of gold as they know the value of gold cannot weaken easily. Unlike other currencies that are in paper and metal coins, gold itself is an expensive and rare material that anybody will exchange with anything worthy of it. This makes it safer than normal currencies. Today, you can buy gold bullion with ease and store your investments safely. Check trusted gold dealers in your local area and see what they have on offer.